Ralph Solecki’s discovery of Neanderthal burials at Shanidar Cave in Iraq changed the way that anthropologists understand Neanderthal culture. 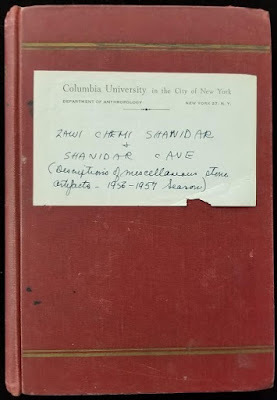 What many may not know is that during those years (1956-1957, 1960) Rose L. Solecki focused her research on the Proto-Neolithic site of Zawi Chemi Shanidar. The Proto-Neolithic part of the site dated from the 11th millennium BC to the 9th millennium BC, when climate change throughout this region gave way to cultural advancements such as behaviors that archaeologists believe to be the predecessors of agriculture. In the middle of the rocky terrain of the Zagros Mountains in Northern Iraq, Zawi Chemi Shanidar sat in Shanidar Valley, where a branch of the Tigris River created fertile plains . 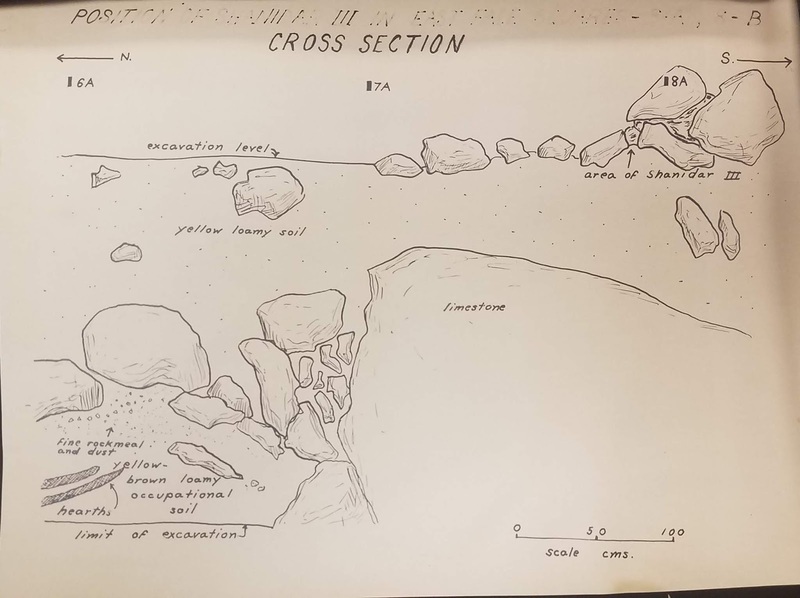 The Smithsonian’s newly acquired artifacts and archival materials will give researchers the opportunity to access field notes, maps, illustrations, and artifacts from Rose Solecki’s excavations at Zawi Chemi. The site of Zawi Chemi Shanidar is rich with information about the first semi-permanent sedentary communities in human history. Up until this point, humans lived a hunter-gatherer lifestyle that did not allow them to settle in any single place for long. The location of Zawi Chemi Shanidar on the left bank of the Greater Zab River allowed for the Proto-Neolithic people to cobble together a stable and sustainable subsistence economy based on a broad array of collected plants including wild cereals and grasses as well as fruits and nuts . Zawi Chemi residents also hunted and collected a wide range of different animal species that included wild sheep and goats, wild boar, various species of birds, and thousands of land snails. Rose excavated an amazing example of early human civilization during the transition from nomadic lifestyles to sedentary settlements that points to the later practice of domestication of animals and plants . The transition of the people at Zawi Chemi to this semi-permanent lifestyle led to a spur of technological innovations and cultural advancements. One of the most notable aspects of the finds at Zawi Chemi is the variety of tools that were uncovered. The site seemed to be a center of production for the chipped-stone industry . In addition to a production center for chipped stone, the site has a vast variety of other tools that show artistic and technological innovations. This variety of tools indicate experimentation with tool production among the people of Zawi Chemi Shanidar. During the past year, the Solecki Project has been working to catalog such tools, like the ones pictured below . Other bone tools have etchings and carvings as decoration and are the first evidence of artwork found in the Zagros region alongside beads and stone pendants. These finds indicate a growing elaboration of culture in this region of modern-day Northern Iraq . Many of the tools uncovered were used for plant processing indicating the community’s increasing investment in locally available plant resources . Ralph and Rose Solecki’s contributions to the field of paleo-archaeology and their dedication to preserving their work will help researchers further study these incredible sites [3 & 4]. Even now, studies of Shanidar Cave and Zawi Chemi are revealing new things about this transitional period of human history. For more information about Zawi Chemi, Shanidar, or the Soleckis, check out previous blog posts about the Solecki collections: Collection in Process: A Poem from the Ralph and Rose Solecki Papers; A Year-in-Review: The Ralph S. and Rose L. Solecki Papers and Artifacts Project; Connecting Archives and Artifacts: Year Two of the Ralph S. and Rose L. Solecki Papers and Artifacts Project; Reuniting a Collection: The Ralph S. and Rose L. Solecki Collection Storage Integration; The Shanidar III Neanderthal: A Mousterian Murder Mystery. The Ralph S. and Rose L. Solecki Papers and Artifacts Project was made possible by two grants from the Smithsonian Institution’s Collections Care and Preservation Fund. Rose L. Solecki, Biblioteca Mesopotamica Volume Thirteen: An Early Village Site at Zawi Chemi Shanidar (Malibu, CA: Undena Publications, 1981). Melinda A. Zeder, "The Origins of Agriculture in the Near East." Current Anthropology 52, no. S4 (2011): S221-235. doi:10.1086/659307. 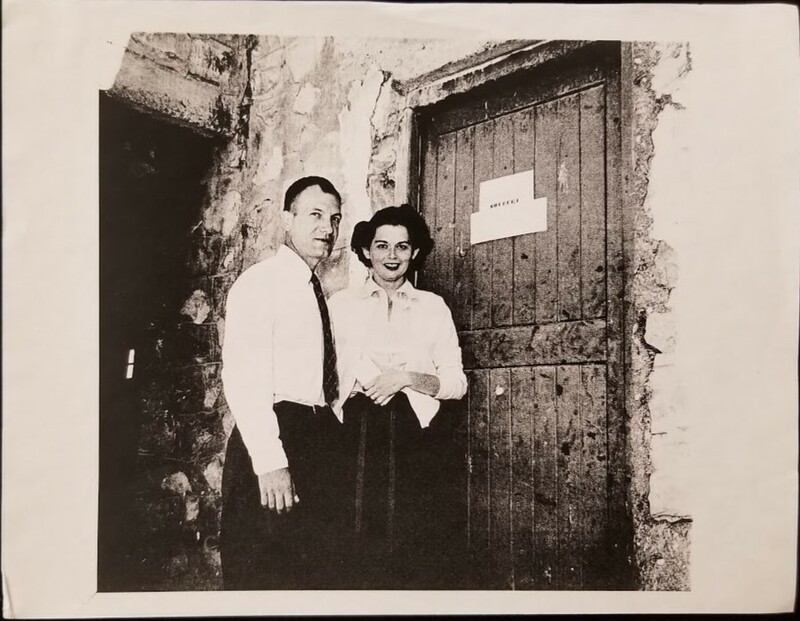 The Ralph S. and Rose L. Solecki Papers, National Anthropological Archives, Smithsonian Institution. Accession 220078, Department of Anthropology, National Museum of Natural History, Smithsonian Institution. The Shanidar III Neanderthal skeleton was uncovered on April 16, 1957 by paleo-archaeologist Ralph Solecki after a local laborer noted the presence of bone during the third season of excavations at the Shanidar Cave site in northern Iraq. With attention drawn to the excavation area, associated with the Mousterian era dated at approximately 100,000 to 50,000 years ago, Solecki’s excavation eventually discovered the first known examples (nine skeletons in total) of Neanderthals in the region! While the team was unable to fully excavate this burial in 1957, they returned in 1960 to recover what is now associated with Shanidar III . Unfortunately, they were still unable to identify the remains as those of a Neanderthal until it was more carefully assessed out of the field. Unlike the Shanidar I and II skeletons, which were actually discovered at a later time, the skull of Shanidar III was never recovered. The skull provides many features diagnostic helpful to classifying an individual as a Neanderthal, meaning its absence could have been responsible for the lack of recognition. Fortunately, other methods, such as measurements of postcranial bone robustness, allowed for the positive identification of Shanidar III as a Neanderthal . Exhibited now at the Smithsonian’s National Museum of Natural History in Washington, D.C. , this specimen is among the only Neanderthals in America that is both on display to visitors and available to outside researchers. 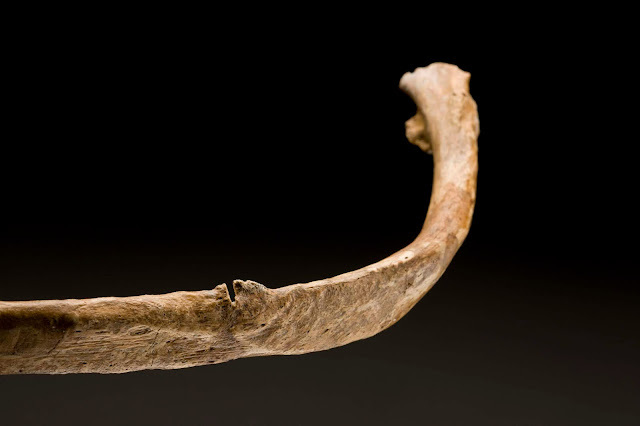 Researchers of the skeleton, Erik Trinkaus and T. Dale Stewart, noted that the skeleton initially received little attention due to its fragmentary state and the fact that it had not been immediately identifiable as a Neanderthal . Of particular note to researchers has been the presence of a sharp force trauma wound to the left ninth rib of this individual. The wound itself displayed signs of healing, indicating that this individual lived for at least several weeks after the injury itself had occurred . But then what killed this Neanderthal? In classic true crime fashion, the answer is not clear. A look at the evidence produces several possible scenarios. The rib wound seems like a possibility when considering the severity of thoracic trauma. This injury would have likely resulted in a collapsed lung which, in a world without advanced medicines, could prove deadly . The angle of the damage to the bone indicates that it is unlikely to be self-inflicted, which likely indicates one thing: someone else did it . At over 50,000 years old, this could be representative of the oldest known instance of interpersonal violence. But we know that Shanidar III did not immediately die from this event; there was too much healing for the death to have been a direct result of this injury. However, this does not rule out a cause of death related to, but not directly a result of immediate injury. Infection of the pneumothorax, or a collapsed lung, could be the second possible culprit in this death. Finally, an unexpected player becomes suspect: the cave itself. Depressions in the dirt around the body, in concert with the large rocks and stones on top of the body, indicate that the individual was crushed during a cave in . Whether or not this caused its death, or simply occurred after the Neanderthal had already died, remains unknown. Close up view of the rib wound on the Shanidar III Neanderthal skeleton. Photograph courtesy of the Smithsonian Institution’s Human Origins Program. As is the nature of archaeology, the complete answer may never be fully determined. While these scenarios represent best guesses, it will always be a mystery which can never be fully solved. Researchers make use of the available materials such as the specimen itself; the written records like field notebooks, correspondence, and photographs created by past archaeologists like Ralph Solecki; and technologies to determine, to the best of their ability, what could have happened to this ancient individual. With this information we learn about our collective past and begin to piece together what life could have been like all of those years ago. 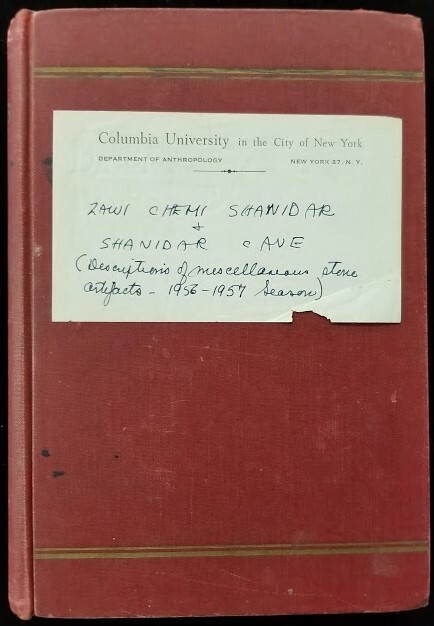 Indeed, revisiting the wealth of information contained in the Soleckis’ archives and their original finds forms an important part of new, ongoing research at Shanidar Cave. In addition to conducting new excavations at the site, members of the team led by Professor Graeme Barker from the University of Cambridge are re-examining some of the evidence for whether some of the Shanidar Neanderthals may have been killed by rock fall, and whether they were intentionally buried. Investigations by Dr Emma Pomeroy and Dr Lucy Farr from the University of Cambridge are combining a detailed analysis of the relationships between rock fall and the Neanderthal remains as documented in the archive with modern techniques for identifying breaks to the bones that happened around the time of death (which may support the role of rock fall as a cause of death) and microscopic bone damage that indicates whether the remains were quickly buried after death (suggesting this was done intentionally) [5, 6]. There are always new questions to ask of older excavations, which is why the long term curation of these archives is so vital, and bit by bit, by combining old and new research, we can arrive at a better understanding of how our ancestors lived and died. Be sure to check out other Solecki Project posts, like Molly Kamph’s Connecting Archives and Artifacts: Year Two of the Ralph S. and Rose L. Solecki Papers and Artifacts Project and Tiffany Priest’s Reuniting a Collection: The Ralph S. and Rose L. Solecki Collection Storage Integration and look out for our final post Excavations at Zawi Chemi Shanidar: An Example of Human Innovation by Sophia Carroll! Thank you to Dr. Emma Pomeroy of the University of Cambridge for contributing updates on the current archaeological at Shanidar Cave. The Ralph S. and Rose L. Solecki Papers and Artifacts Project was made possible by two grants from the Smithsonian Institution’s Collections Care and Preservation Fund. David H. Koch Hall of Human Origins, National Museum of Natural History, Smithsonian Institution. Erik Trinkaus and T. Dale Stewart, 1980. “The Shanidar 3 Neanderthal: A Fragmentary Skeleton form Shanidar Cave, Northern Iraq” Sumer. Steven E. Churchill, Robert G. Franciscus, Hilary A. McKean-Peraza, Julie A. Daniel, Brittany R. Warren, 2009. “Shanidar 3 Neandertal rib puncture wound and paleolithic weaponry” Journal of Human Evolution, vol. 57 pp. 163-178. Tim Reynolds, William Boismier, Lucy Farr, Chris Hunt, Dlshad Abdulmutalb and Graeme Barker, 2015. “New investigations at Shanidar Cave, Iraqi Kurdistan.” Antiquity: A Review of World Archaeology vol. 89, no. 348. In celebration of Women’s History Month, we’ve searched our archives to find the oldest collection created by a woman photographer. That honor goes to Mary Marvin Breckinridge Patterson (1905-2002), an American photographer, broadcaster, filmmaker, and philanthropist. From her journey to Africa in 1932, her work with the Frontier Nursing Service, her broadcasting experience during World War II as the only female member of "The Murrow Boys”, she was, much to her father's chagrin, anything but conventional. This amazing woman and her collection are the next highlighted in our Pioneering Women Photographers in Africa project. 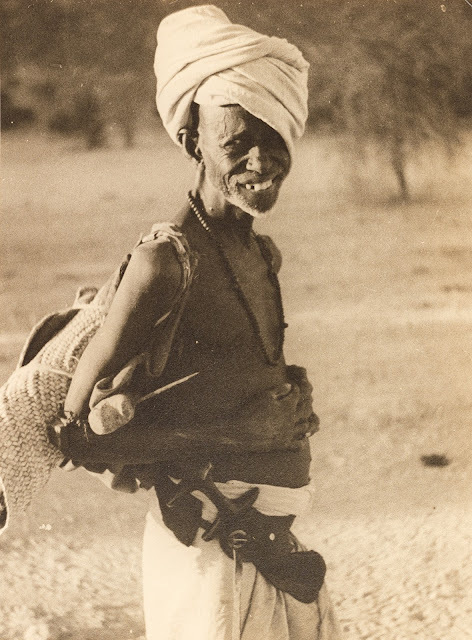 The Mary Marvin Breckinridge Patterson Collection at the Eliot Elisofon Photographic Archives (EEPA) is primarily comprised of 78 silver gelatin photographic prints taken by Breckinridge during her trip to Africa in 1932. 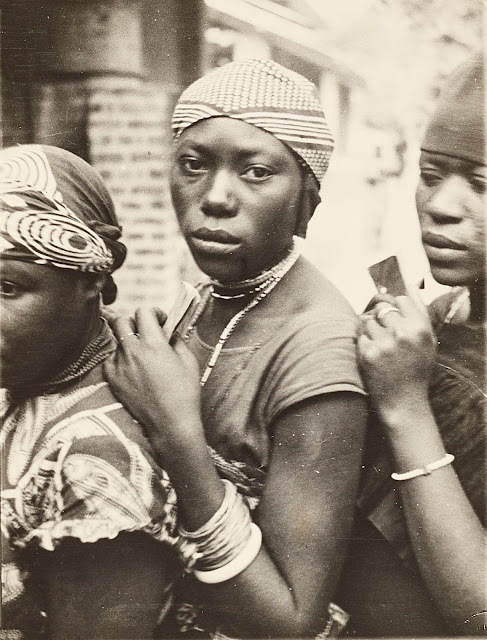 Taken during an era of increasing American travel and tourism Africa, these photographs provide significant documentation of a time of great political change in Africa and the professionalization of photography - especially for women. Marvin's prominent family, including her grandfather, Vice President John Cabell Breckinridge, expected her to stay home and marry. Breckinridge, however, had other plans! In the first few years following graduation from Vassar College (1928), she worked for the Frontier Nursing Service (a group comprised mainly of women that provided medical services to remote areas in Appalachia), earned a pilot’s license (the first woman in Maine to do so), and assisted in the office of the Democratic National Committee. In 1932 she set sail to Africa from Southampton, England, accompanying her friend Olivia Stokes and her parents, Rev. Dr. Anson Phelps Stokes and Caroline Mitchell Phelps Stokes. Dr. Stokes lectured at various locales, working to promote the education and welfare of Africans. 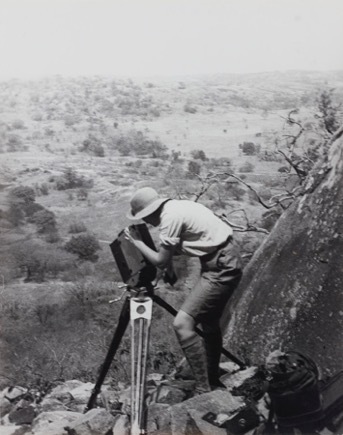 While just 26 years of age, Breckinridge showed a surprisingly sophisticated eye in her documentation of the peoples and landscapes of Tanzania, Rhodesia (Zimbabwe), South Africa, Egypt, Belgian Congo (now the Democratic Republic of Congo), Uganda, Kenya, and Sudan. 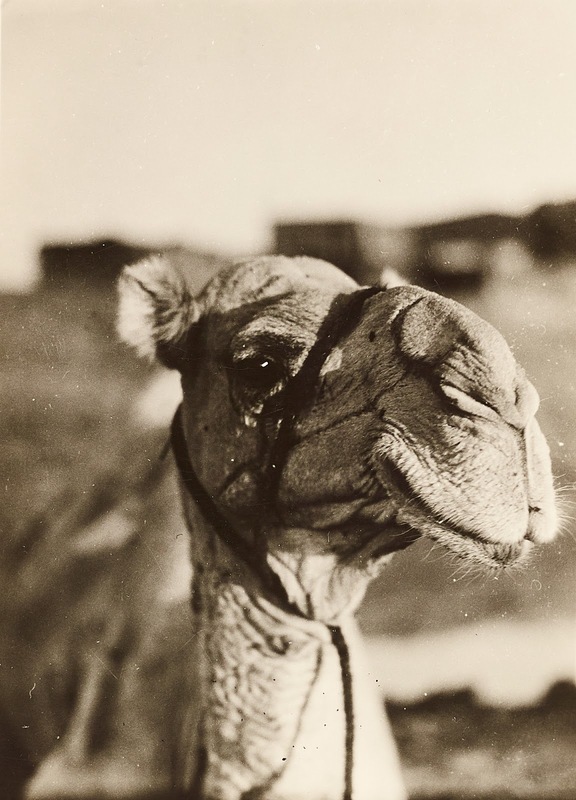 Olivia Stokes wrote about the trip in her journal, which was later published as Olivia’s African Diary: Cape Town to Cairo, 1932 (Washington, D.C.: Eastern Press, 1980) and illustrated with Breckinridge’s photographs. 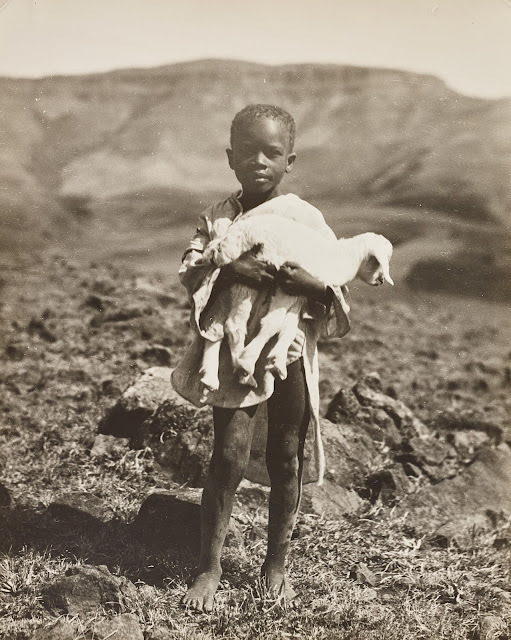 Breckinridge trained the lens of her trusty Graflex camera on a variety of subjects, but seemed most interested in the peoples of the continent. Pictures of the Baila, San, Shona, Xhosa, Kikiyu and Zulu peoples are prominent in her photographs as are “everyday” scenes, including a bride and groom at Lovedale; workers pouring gold and dancers at the Crown Mine near Johannesburg; flower vendors in Cape Town; two leading elders at Amanzimtoti; a craftsman making spears; miners with their wives in Katanga (now Shaba); schoolboys; women lining-up to receive rations in the Belgian Congo; and a Zulu woman at a market in Durban. 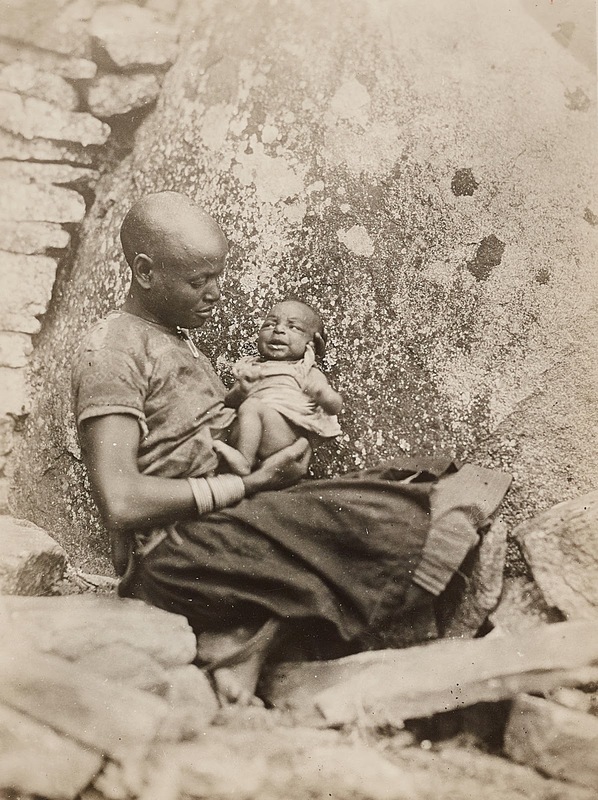 She later shared these photographs with Henry Field, Curator of Anthropology at the Field Museum, to assist in his research. She also documented important sites and landscapes, including the Queen Hatshepsut's room at Karnak, Luxor, Egypt; the ruins of Great Zimbabwe; Murchison Falls, Uganda; the Lualaba River; Victoria Falls, Southern Rhodesia (now Zimbabwe); and a mountain at Cape Town. Additionally, animals feature prominently in her photography, and include egrets, ostriches, camels, lions, and wildebeests. 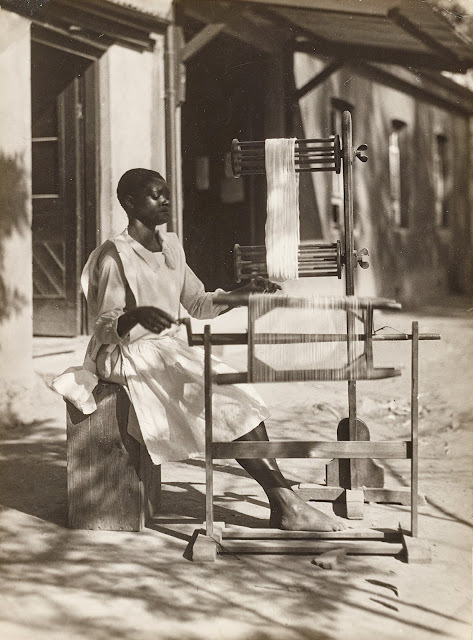 Breckinridge's experience in Africa further ignited her desire to photograph professionally, and upon return, she enrolled in the Clarence White School of Photography in New York in 1933, taking a month-long training on photographic developing and printing. She then worked in the office of Democratic congresswoman, and distant relative, Isabella Selmes Greenway, but soon returned to the Clarence White School of Photography for a longer course of study. Following graduation, she began selling photographs and articles in several magazines, including Life, Harper’s Bazaar, and Town and Country. Her film credits include The Forgotten Frontier (1930), a documentary about the activities of the Frontier Nursing Service, and She Goes to Vassar (1931), a film that provides an overview of college life at Vassar. Traveling to Europe in 1939 on photojournalism assignments, Breckinridge was abroad during the start of World War II and remained only one of four American photographers in England during the first months of the war. Edward Murrow hired her as the first female news broadcaster for the CBS World News Roundup to report from Europe. As the only female member of “The Murrow Boys”, an elite group of only eleven broadcasters handpicked by Edward R Murrow, she covered Great Britain, Scandinavia, and the Low Countries. In total, Breckinridge broadcasted fifty reports from seven countries. To learn more about her work during this period, check out Women Come to the Front, an online exhibition curated by the Library of Congress. While working in Berlin, she married Foreign Service Officer Jefferson Patterson. She resigned from CBS, hoping to resume her career in photojournalism, but the State Department prohibited it. The couple was posted in Peru, Belgium, Egypt, the Balkans and Uruguay. After several years, the couple settled in Washington, D.C., where Breckinridge directed her energy on philanthropy. Breckinridge became an active member of the Society of Woman Geographers and contributed as a trustee of various museums and galleries, including the Smithsonian Women’s Committee. We hope that you enjoy Breckinridge's photographs as more are posted online. You can view the collection's finding aid and explore her photographs here. We encourage you to read more about the Pioneering Women Photographers in Africa project, and explore other blogs in this series.